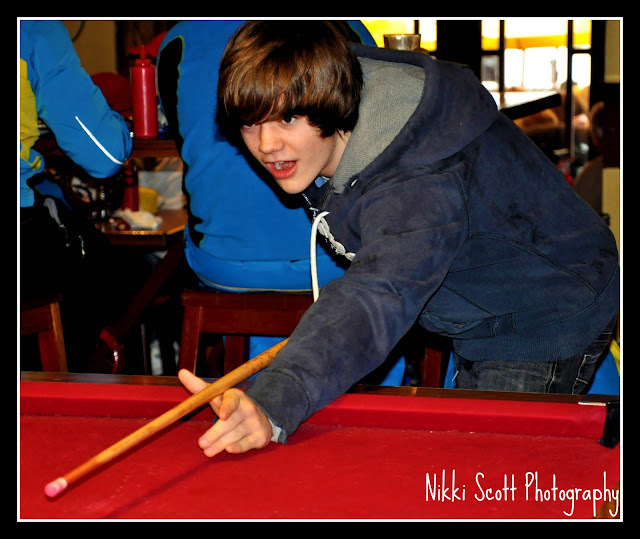 Nikki Scott Photography: Just shootin' some pool. Some more photos of the kids from our Whistler trip. 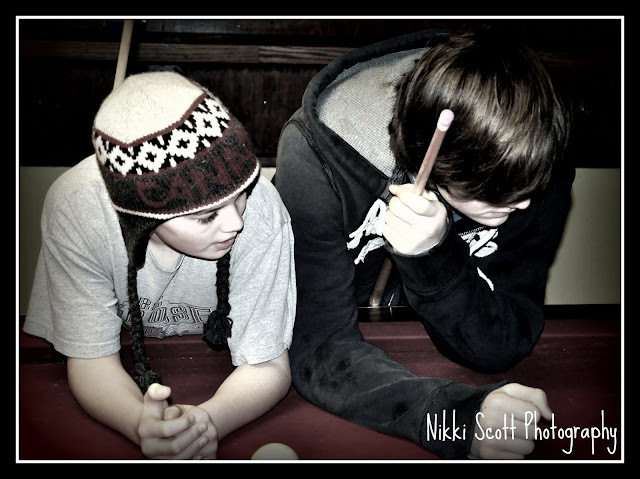 Shootin' some pool in the Longhorn pub. It was pretty cool. We ordered the most awesome fully loaded platter of Nachos ever. 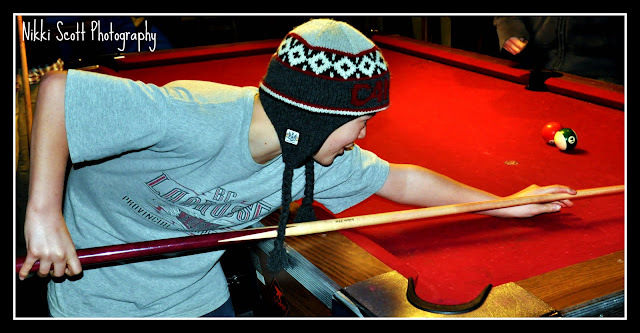 The kids thought they were "all that" as they have never been in a pub before with the music pumping and playing pool, while heading over to their bar stool and poppin back a few nachos, slurrping down some iced tea. Living the life, there were smiles all around!! Oh, and the fact that there were many Olympians from all over the world sitting around us cheering the boys on was pretty insane. We can't wait to go back for another weekend soon!